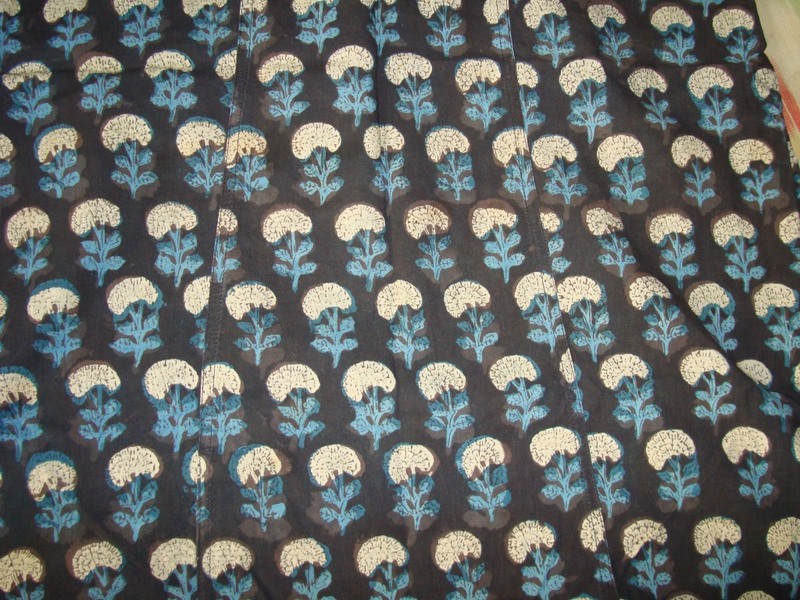 The tunic fabric is kalamkari block printed handloom cotton. The fillings were worked with herringbone stitches, outlines were worked with back and chain stitches. I used three strands of cotton skeins. And the spaces between the mirrors were worked in fly stitches. 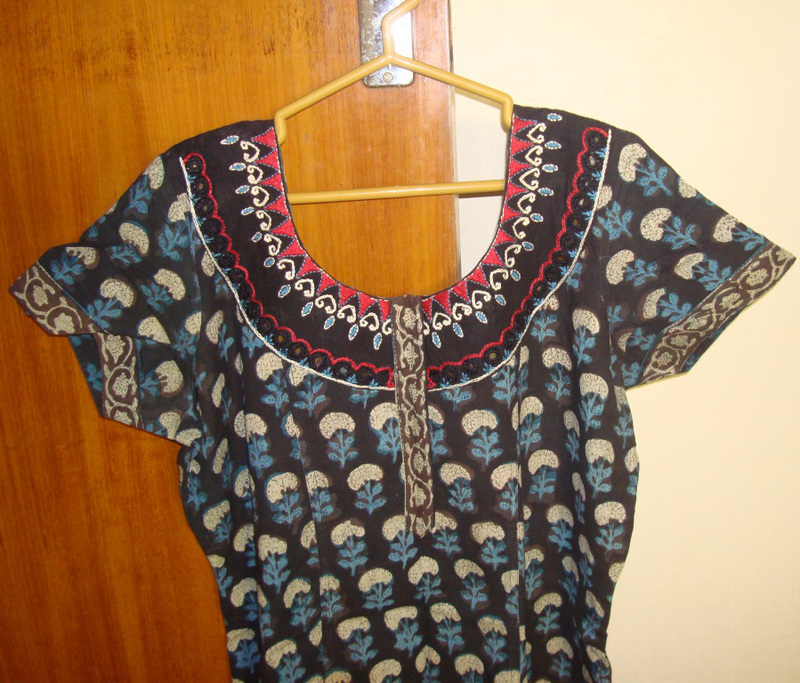 The tunic fabric is light weight cotton, feels so cool in summer. After giving it to the tailor, I was concerned that the weight of the mirrors might sag the neck in the front. Thank God, It doesn’t. 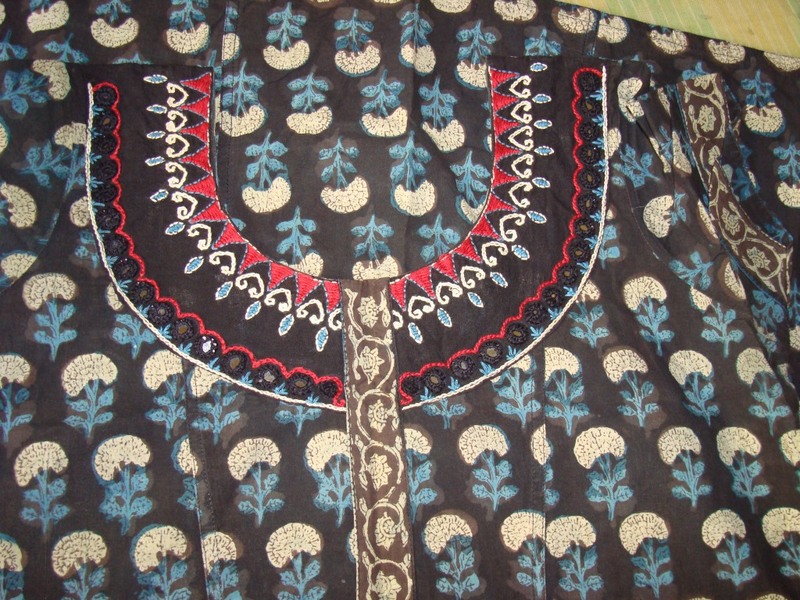 Surprisingly a salwar of the same blue on the tunic was also available to be worn with this top.